Artificial Intelligence has the potential to add £630 billion to the UK economy by 2035, according to an independent review commissioned by the government as part of its Industrial Strategy. The review, Growing the Artificial Intelligence Industry in the UK, led by Jerome Pesenti, chief executive of BenevolentTech and Dame Wendy Hall, Professor of Computer Science at the University of Southampton, says AI is expected to make “great improvements” for the public, including more personalised services, better healthcare and more efficient use of resources. Robots could be used to perform a raft of benign and “dangerous” jobs including smarter scheduling of medical operations and hiring on-demand self-driving cars. 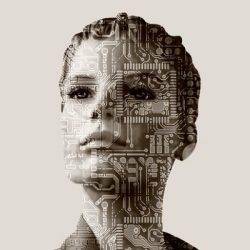 The report makes 18 key recommendations for developing AI in the UK and was led by Professor Dame Wendy Hall, a professor of computer science at the University of Southampton. The report cites improved productivity, advances in health care, and better customer service as other benefits that AI can provide. Industries including health, banking, education and driverless cars were also highlighted as areas that are already effectively utilising AI, but still have room for more. The report’s 18 recommendations aimed at making the UK the world’s top AI nation include an industry-funded Masters qualification program to teach and educated workers with the best AI skills, and making the Alan Turing Institute a national research centre for AI technology. Businesses will also be better encouraged to understand how AI can benefit them, with workers seeing greater productivity, and companies creating and releasing better products. The plans will now be considered by the Government, which earlier this year announced that £1 billion of investment will be made available in six key areas of research and development.